Imitation is the sincerest form of...selling books? OK, sometimes I think Ann Coulter goes too far with the hot conservative thing, but there's no argument that she's a lot more attractive than that scary chick at the top! heh, true. A bold move, I say. But, who's the more foolish: The fool, or the fool who follows him? Now all we need is a parody of both. 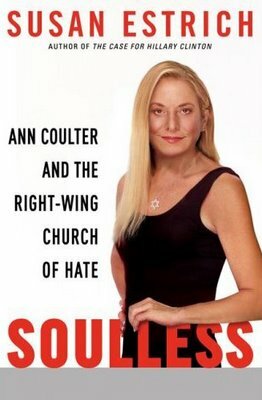 did they photoshop an coulter to look especially lean and predatory? She's a bit too reptilian looking for my taste. is it just me, or are the typefaces subtley different? Ben, I think you're right. But no one's noticed the Star of David instead of the Crucifix! 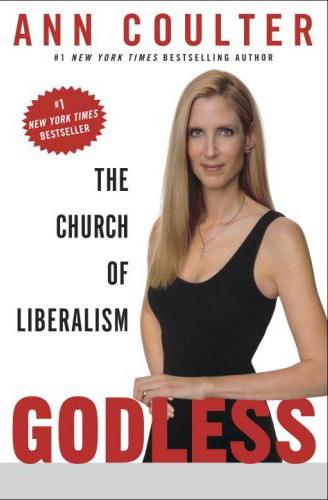 the head on the top cover has been Photoshopped onto a different body.